Many people are looking for easier ways to convert their Excel 2003 to PDF. The main reason for this demand is that PDF documents are compatible with a wide range of platforms. Other wants to convert their Excel files to PDF because of security. PDF offers you a chance to keep your information secure using permissions, passwords and digital signatures. In this article, we recommended two ways you can use convert Excel 2003 to PDF, and the first one is to use PDFelement Pro. Read on to learn more. To convert Excel to PDF, you can use PDFelement ProPDFelement Pro to do the conversion. This easy-to-use Excel to PDF converter allows you to convert documents from Excel, Word or other file formats to PDFs just in a few steps. On the other side, you can also convert the PDF documents to many popular file formats. With the help of this PDF tool, you can edit texts, images, links in your PDF files as well. Convert PDF to other popular PDF file formats or convert multiple PDFs in batch. This software is fully compatible Windows 10/8/7/Vista. 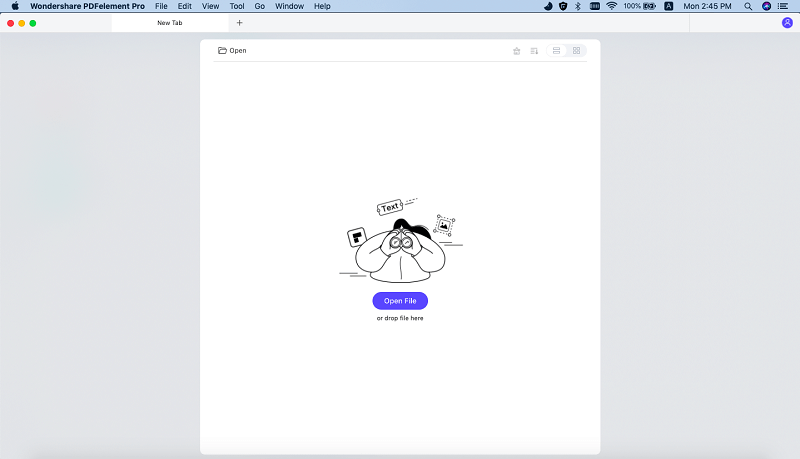 If you are a Mac user, you can use PDFelement Pro for Mac(macOS 10.13 High Sierra included) to do this conversion with ease. After you have successful installed the program on your PC, you can then launch the Program and go to the main interface of this program. Click on the "Create PDF" button in the main interface and you will open the file browser. 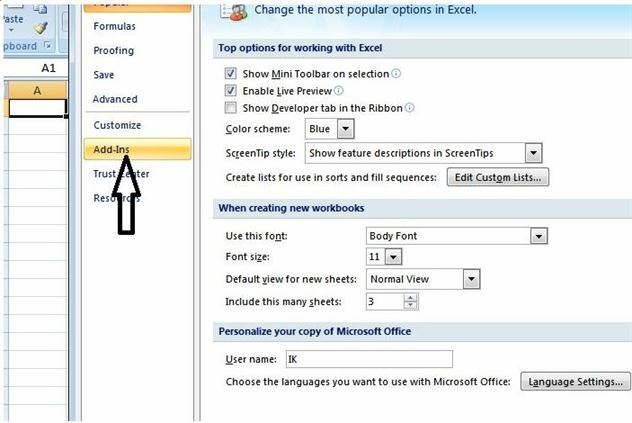 Then you can select the Excel document and import it to the software. Go to the "File" menu and choose the "Save as" option and specify a destination to save the file and you can click "Save" to complete the Excel to PDF conversion. While there are a wide range of programs you can use to convert your Excel 2003 worksheets to PDF documents, we highly recommend iSkysoft PDF Creator for Mac. It is a premier yet very affordable solution. This Excel 2003 to PDF Converter creates high-quality PDF files from Excel, Word, PTT and other files formats without losing the original formatting and hyperlinks. The program also lets you create write password encrypted PDF files from Excel files. Converts Excel 2003 to PDF, Word to PDF and PPT to PDF very quickly and can handle batch documents. Creates PDF documents that are compatible with any PDF converter, PDF reader, PDF editor and other third-party PDF applications. Simple to use regardless of how many Excel documents you are converting. 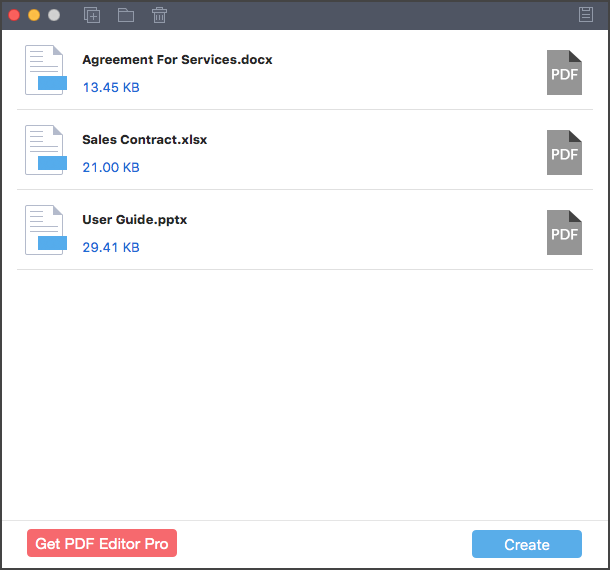 Creates very high quality PDF documents while preserving the original formatting. Creates PDF documents with high resolution and ones that complies with ISO PDF standards. 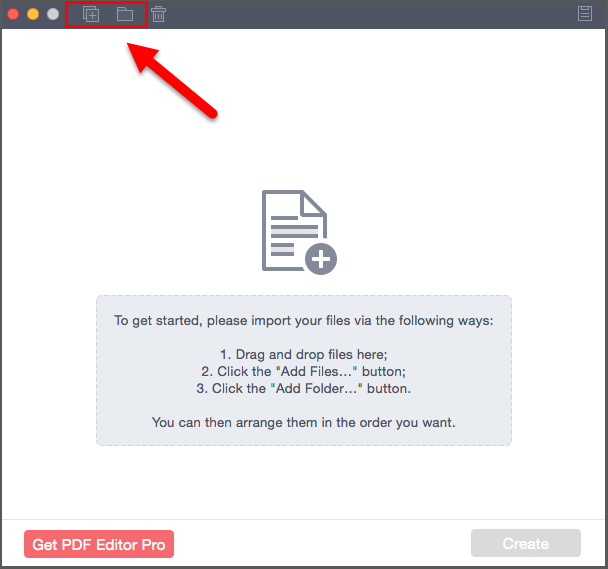 First, go o the official website to download and install iSkysoft PDF Creator for Mac converter. The installation is very quick. All you need is to drag and drop the program icon to the "Applications" folder on your Mac. Once the installed has been completed successfully, launch the program. In the main interface of this application, click on the "Add Folder" or "Add Files" button. From your device, select the Excel files you need to convert to PDF and import them to the program. Wait for the processing to complete. You can choose to edit the files before conversion. When all editing has been done as needed, now click on the "Create" button and proceed to select a location to save the output files. And then start the converting. 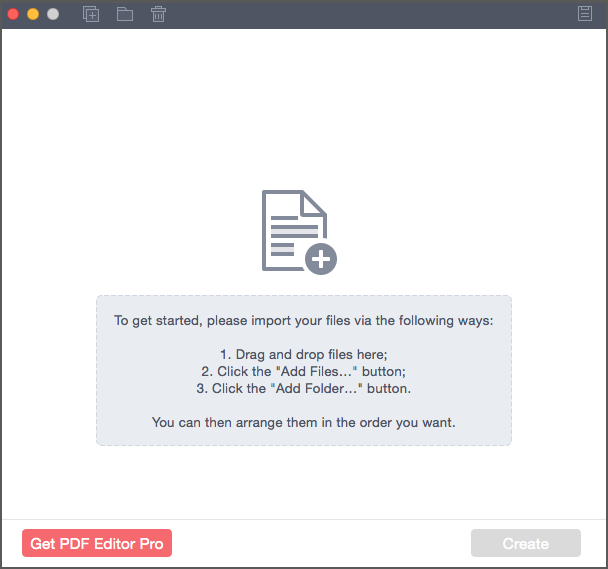 Note: As stated earlier, iSkysoft PDF Creator for Mac supports batch conversion. If you want to convert several Excel 2003 files to PDF documents, you can click "Add Folder" to import multiple Excel files to the program and convert at once. The second option you can use to convert Excel 2003 to PDF document is using Excel 2003 Add-in. Below is a step by step guide on how to use this option. 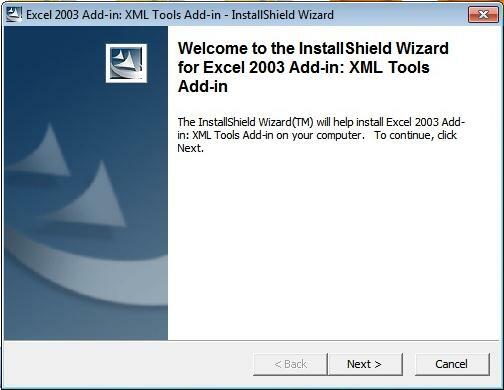 Download Excel 2003 Add-in and save the file to your computer’s hard disk. Then double-click the program file that has been saved on your hard disk to install the setup. Follow the instructions on the screen to complete the installation process. 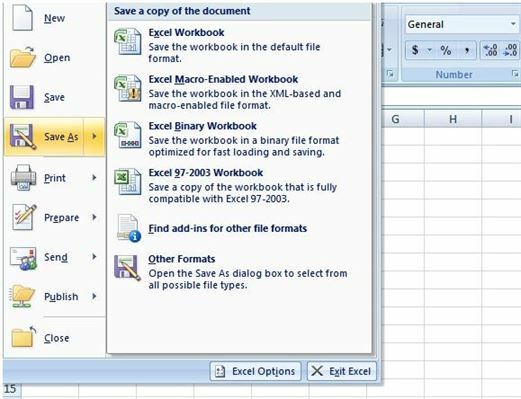 The program adds a "Save as PDF" button to Excel 2003 which imports all fonts and layouts on Excel documents to the PDF. You need to configure the add-in by completing these steps. 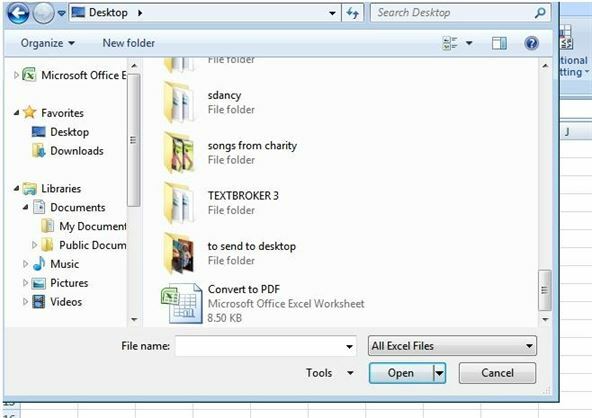 Open a blank Excel document and navigate to the Tools menu. Here, click Add-Ins and then the “Browse” button and go to the XmlTools.xla file. Here, you need to select the file and then click OK. Continue by clicking “Yes” to any file copy or overwrite prompts. Verify the XmlTools box is selected. Navigate to the File->Open, browse for the Excel 20013 spreadsheet you want converted to PDF and open it. Go to File->"Save As” and choose Save as PDF" button to save your converted Excel 2003 file to PDF. Your Excel 2003 file will be converted to PDF file quickly than you thought.